• The Link: "We where taking a walk yesterday in our lil town, Brimfield, IL. 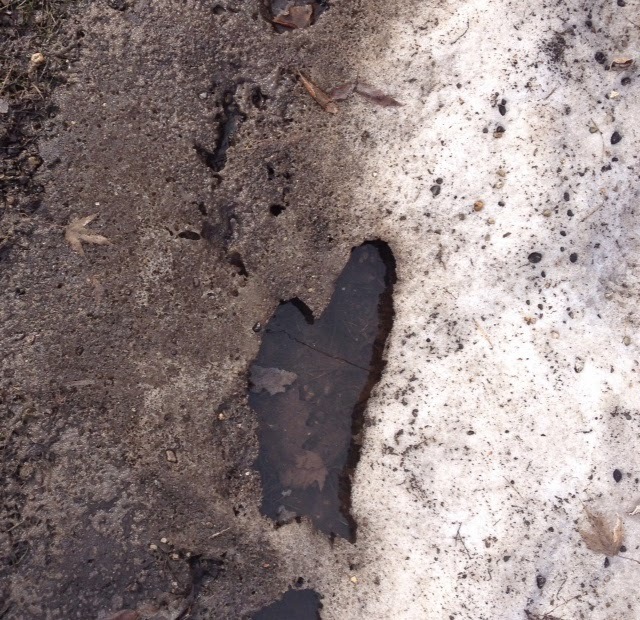 Finally nice enough to get outside... My oldest, whose bday was yesterday, bent down to pick up the tired puppy and saw this heart in the muddy snow pile. He yelled and all of us came over to look at it. My youngest said cool mom take a picture! We were all excited to see the heart in the snow. I feel very blessed to have my boys and thankful they are still easily excited. I plan on getting this picture developed so I can remember this little moment with them. My boys are my world :)"